With every new election cycle in the United States, there is a call for campaign finance reform. These regulations have come in a variety of forms, each having the goal of rebuilding trust in the voting system and government in addition to regulating election finance. With an eye toward building trust, beginning in the early 1990s, state (as well as local and federal) campaign finance regulatory agencies started implementing campaign reporting procedures that required either the replacement or augmentation of paper filing systems with electronic systems. It is hoped that these new procedures will make summaries and analyses of contributions and expenditures more easily accessible to the public as well as to government watch dogs such as interest groups and the media. The adoption of these electronic reforms (e-disclosure laws) is representative of a public service trend in the United States. 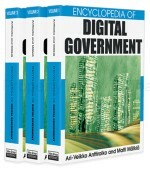 Over the last several years, federal, state, and municipal governments have moved increasingly toward government adoption of electronic government (e-government) practices that “refer to the delivery of information and services via the Internet or other digital means” (West, 2004, p. 2). Each of the 50 states has implemented some type of e-government, and the federal government has created a central portal for federal services (West, 2003). This trend toward adopting e-government has not taken place without comment; it has been accompanied by speculation of the impact to both citizens and government units alike. It has been argued that because e-government can deliver services and information around the clock, it may make government more efficient and transparent to the public (Norris, 2001; West, 2003). It also has been suggested that it will make government more responsive to the public through its ability to provide communication options that are quicker and more convenient for users (Thomas & Streib, 2003). Furthermore, an online presence may reduce government costs and allows the timely update of materials and information more quickly than in traditional distribution methods (Pardo, 2000). Others (Jaeger & Thompson, 2004; Pardo, 2000) argue that e-government has the ability to increase political engagement and to create a more participatory democracy. These benefits may increase the likelihood that Internet-based reforms have a greater likelihood of adoption. Interest groups who campaign for electronic disclosure laws in order to reduce corruption and to increase transparency may find themselves aided by public administrators attracted to the cost-cutting promises of e-government.